Last Saturday saw the advent of High & Low Fest, a new one-day event in San Bernardino with a strong punk underbite. Let’s not bury the lead: headliner Brand New played tracks from new LP, Science Fiction, and if that were the only thing that happened, the event would have still garnered gigabytes of headlines and dozens of phone videos featuring lead singer Jesse Lacey howling along with serrated guitars. But, holistically, the day stood alongside any iteration of major fests like Coachella or Lollapalooza, with Death Cab for Cutie, Tegan & Sara, Best Coast, Pup and a slew of other bands joining the lineup. 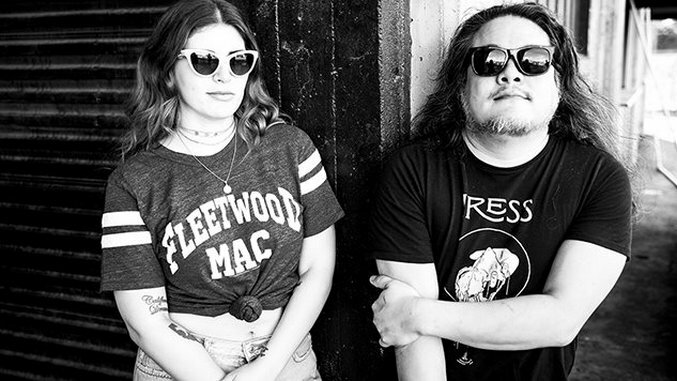 Photographer Erica Lauren spent the day both on the stage and behind the scenes, taking portraits of Best Coast, PUP and Kevin Divine, among others, before capturing the raucous sets of Brand New and Pup. Check out her pictures in the gallery above.